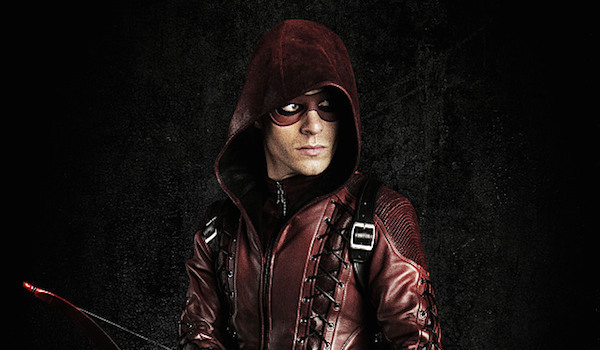 As you may have surmised already, this list does include varying degrees of Arrow spoilers, but it’s all information doled out to us by executive producers Greg Berlanti and Marc Guggenheim, and cast members Stephen Amell, Willa Holland, David Ramsay and Colton Haynes, so most of what you find teases more than spoils. Regardless, consider yourself warned. 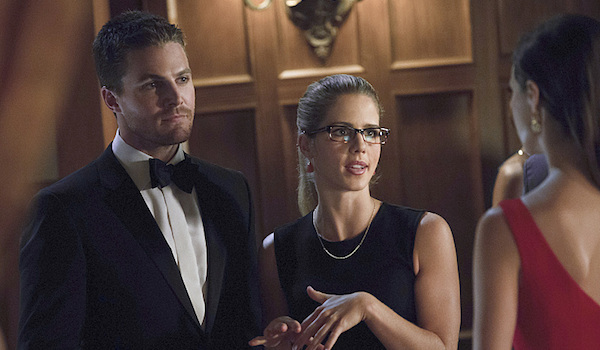 If you don't want to know anything about what's ahead on Arrow turn back now. Oliver - Can I be both Oliver and Arrow? Laurel - Am I Laurel, or Am I my sister? Thea Queen - Am I Thea Queen or Am I Thea Merlyn? Am I Malcolm Merlyn’s daughter or am I Moira Queen’s daughter. Diggle - Am I a sidekick or am I my own man? Am I a crime fighter or am I a father? Felicity - Am I Oliver’s crush object or do I have my own identity outside of that. Do I exist outside the lair? 4. The big bad of Season 3 will have a self-righteous agenda. - Marc Guggenheim talked about how their villains don’t think they’re evil. They think they’re doing what’s necessary. That applies to Slade and Merlyn, and it sounds like it applies to the big bad of Season 3, who has been revealed to be Ra's al Ghul. 6. There will be tension between Oliver and Diggle over Diggle’s priorities - “I don’t think that Diggle is going to have a problem,” David Ramsay told us. “I think Oliver is going to have a problem with the idea that this guy’s a father and he’s risking his life every day for his crusade, which Diggle does take great offense to. You’ll see that in the first episode. 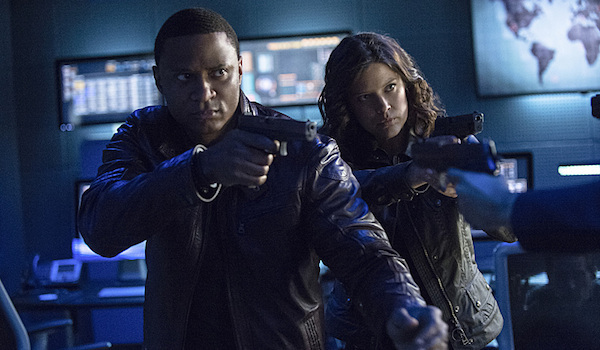 Yeah, there will be some tension.” Ramsay says Oliver sees Diggle as having too much to risk. 8. Diggle may be setting a big example for Oliver in his personal life. - “Some of the things that Oliver wants to do, you’re going to see that happen with Diggle this season. Some of those balances of his personal life and this crusade, Diggle’s going to start doing this season. I think Oliver’s going to see some of what Diggle goes through and have to make some choices as well. It’s interesting. Both these men have problems forming these relationships." “In the second episode, the team immediately begins using A.R.G.U.S. resources,” David Ramsay revealed. 13. We’ll learn more of Roy’s back-story. - Colton Haynes said we’ll see some characters from Roy’s past come in somewhere around mid-season. 14. They want to do a flashback story that reveals how Sarah met Nyssa al Ghul and became a member of the League of assassins. From what Marc Guggenheim said, the idea would be to take Sarah from the shores of Lian Yu after the Amazo went down to when she becomes a member of the League of Assassins. “All of that is something we are absolutely determined to do, we just don’t know what episode it’s going to go in yet,” Guggenheim said. 15. Big Felicity flashback coming in Episode 5! - Greg Berlanti says we’ll be getting to know Felicity better in Season 3. And there’s another character we’ll be getting to know better as well this season. 16. More Thea and more Felicity - From what Stephen Amell says, it sounds like both women will be featured a bit more prominently this season, possibly each with their own centric episode at some point. 18. We find a changed dynamic between Oliver and Roy. 19. Roy will be embarking on some solo missions to “see if he’s being told the truth.”- From what Colton Haynes told us about Roy, it sounds like he’s not trusting Oliver’s team so much this season, and they might not want to trust him either. 21. Thea will be very different when Season 3 picks up - Willa Holland told us that the Thea Queen that we saw at the end of Season 2 is not the Thea Queen we see enter back in Season 3. “There is a tectonic shift in herself, pretty much,” Holland said. 22. Willa Holland is doing some serious physical training for Season 3. - Holland hasn’t trained to shoot an arrow (yet) but she is hitting the gym every day for Thea. 23. Thea and Roy will cross paths “quite a few times” in Season 3 - Willa Holland says that Thea and Roy are “obviously not in a good place. And she is obviously very mad at him.” And it doesn’t sound like Thea will be forgiving Roy right away. 24. Ray Palmer is interested in understanding how Felicity went from an I.T. person to Oliver’s assistant at Queen Industries. - “He’s particularly interested in her rise, and has some questions for her,” Greg Berlanti told us, adding that Brandon Routh’s character has a lot of chemistry with Felicity. 25. Brandon Routh will be the Cary Grant to Stephen Amell’s John Wayne. - Greg Berlanti used that analogy when talking about how tall and strapping Brandon Routh is, and how Ray Palmer can go toe to toe with Oliver. 26. Oliver finds a new home. - Greg Berlanti says Oliver will find a new place to live “soon after” the first episode. 27. Roy has an arsenal of a million weapons. Colton Haynes is doing some archery training, and it sounds like Roy has a ton of weapons to work with this season. 28. There’s going to be correspondence between Roy and Thea. — “And Malcolm’s going to find out about it,” Colton Haynes told us. Haynes was vague, but I get the sense that Merlyn’s not supportive of Thea’s relationship (or potential reconciliation with) Roy. 29. Oliver and Laurel pick up in an “incredibly good place.” - They’ll have a “you catch ’em, I cook ’em dynamic. I asked for elaboration on that, theorizing that this season, Oliver will be “catching” the bad guys, and Laurel will be making sure they’re put away. Amell said that would be a good deduction of that sentence. 31. Merlyn won’t kill Thea. - Willa Holland was telling us about Thea goes to Merlyn because he’s someone she knows she can’t trust. There’s no letdown there. He’s already let her down so much that if anything, Merlyn could make things a little bit better for Thea. “I think she trusts not trusting him,” Holland said. “It’s a nice refresher for her to not have room for heartbreak in there. She’s not going to get her heart broken from Malcolm, I think. Unless he actually kills her.” There was a pause there, and then Holland quickly said, “That’s not happening! Did not put that out there. That’s not happening!” So yeah, Thea’s not going to be killed by Malcolm. 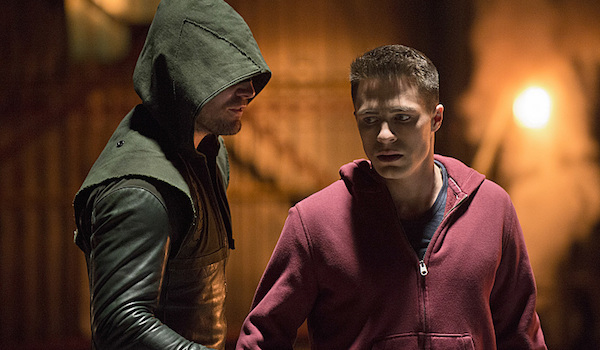 Arrow returns for Season 3 on Wednesday, October 8 at 9:00 p.m. ET on CW.